Lt. Gavin Newsom continues to hold a wide lead in the latest results from a respected statewide poll, but Republican challenger John Cox has emerged as a strong second. 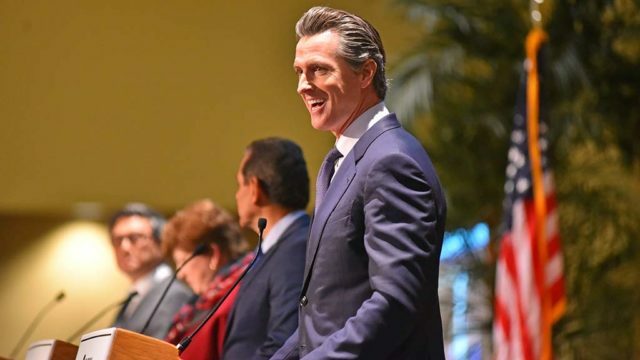 The poll released Wednesday by the Public Policy Institute of California showed Newsom at 25 percent, followed by Cox at 19 percent, Democrat Antonio Villaraigosa at 15 percent, Republican Travis Allen at 11 percent, Democrat John Chiang at 9 percent and Democrat Delaine Eastin at 6 percent. Cox, a newcomer to California politics who moved to Rancho Santa Fe from Illinois a decade ago, has seen steady growth in support since President Trump endorsed him a week ago. “Lt. Gov. Gavin Newsom’s support has been consistent across five PPIC surveys, while John Cox’s support has sharply increased since our January survey,” said Mark Baldassare, president and CEO of the institute. The poll results were cited in a Republican call for Allen to drop out of the race before the June 5 primary. The survey is based on interviews with 1,702 Californians on both landlines on cellphones from May 11 to 20.